From vintage beer signs to beer posters and beer art prints – there are numerous choices and sometimes sorting through them all can feel overwhelming. 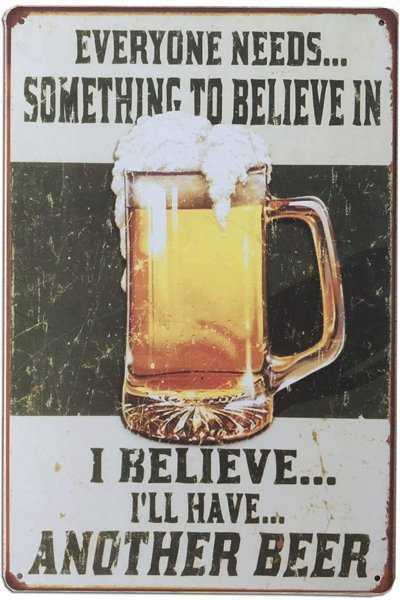 We curated a collection of popular craft beer wall decor options ranging from classy and elegant to low-key and funny. NOTE: This post contains affiliate links which help support our blog at no cost to you. The compilation is regularly updated to ensure current availability of the featured items. 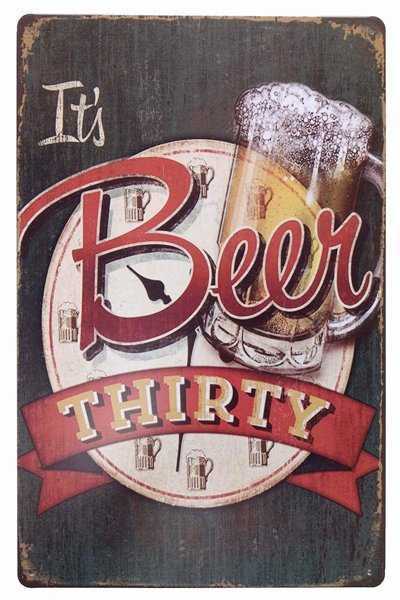 A beer poster printed on quality paper using quality inks and tastefully framed can create a classy focal point on the walls of a tap room, home bar or brewery. Here are some great shoppable examples. 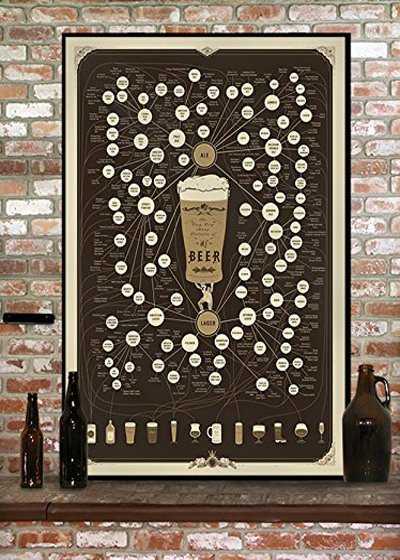 Types of beer poster – a refined graphic representation of the main craft beer styles. Take a closer look. 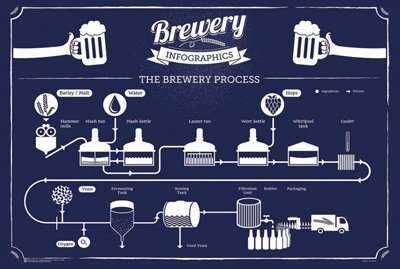 The flow of the brewery process. Find it here. 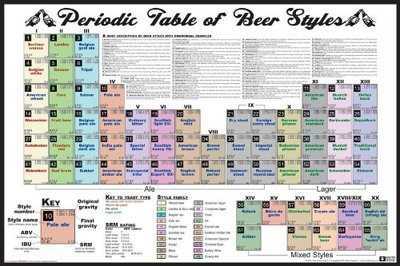 ‘Periodic table’ of the main craft beer styles. Take a closer look. A ‘scratch off’ poster of some of the most iconic US craft brews. Take a closer look. A poster of the patent drawing for the beer tap system. Several color variations and sizes available. Drawings for the keg patent. Available in several sizes. 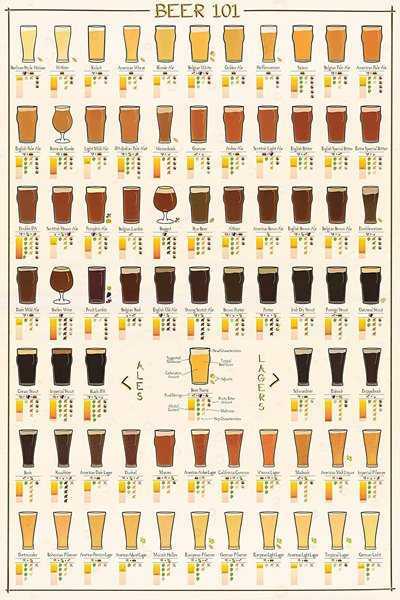 Craft beer glassware poster. More detail here. As smaller wall decor options beer art prints fit the bill. Choose your own frames in accordance with your personal style. 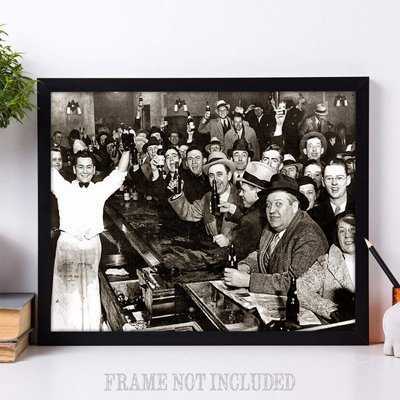 A photographic print of people enjoying a beer on the night Prohibition ended. Find it here. 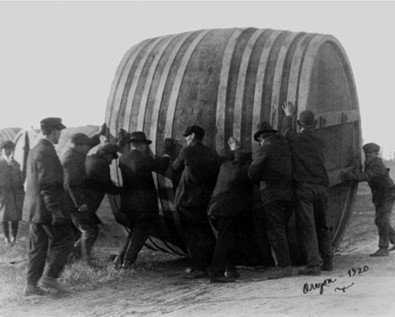 Vintage print of ‘Rolling a vat of beer’ available in several finishes and sizes. Take a look here. 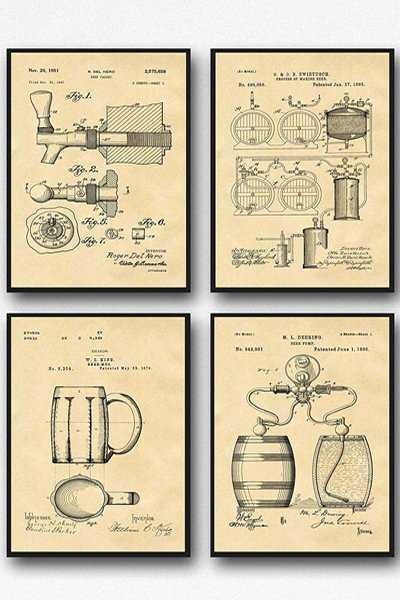 A set of beer related patent drawings – several color options and sizes available. Take a closer look. 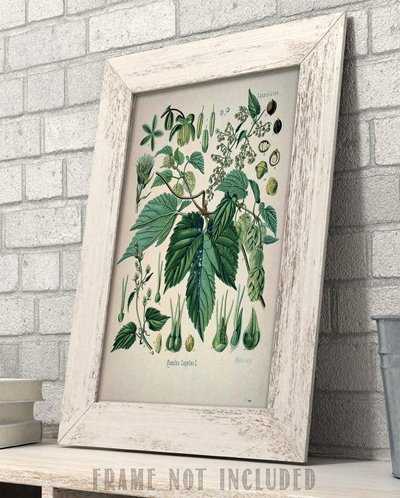 Color drawing of Humulus lupulus, the hop plant. Find it here. 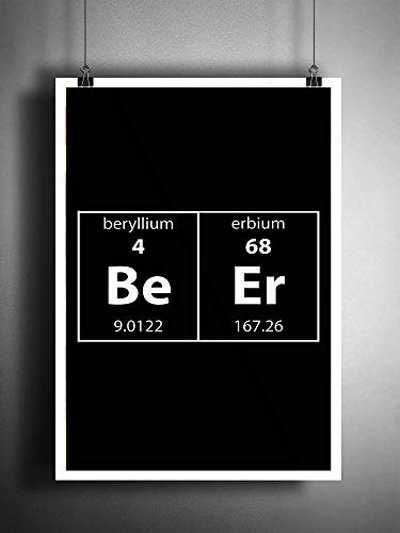 Periodic table elements spelling ‘beer’ print. Available here. 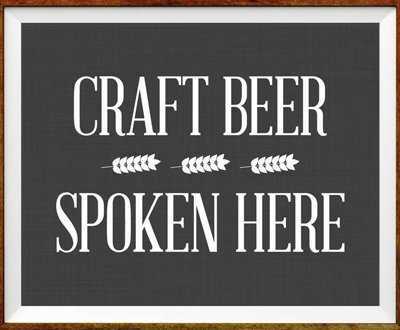 “Craft Beer spoken here’ print. Find it here. 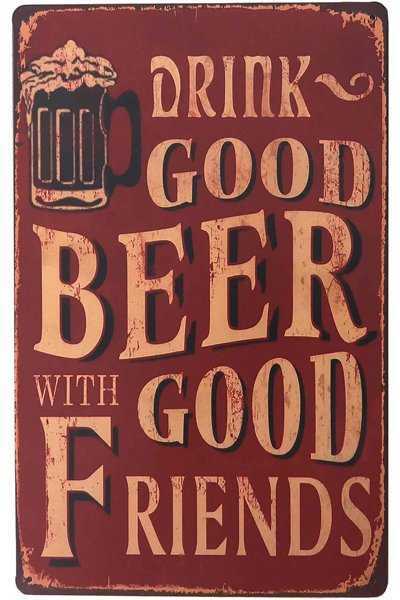 Metal beer signs, funny beer signs, sometimes both… These also make great gifts for your beer loving colleagues, friends and family members. 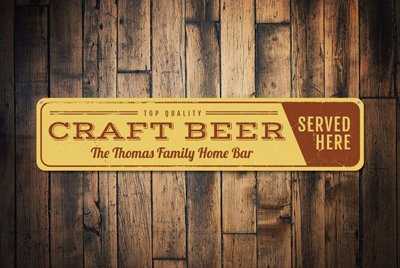 Personalized craft beer for home brewery or home bar. Find it here. 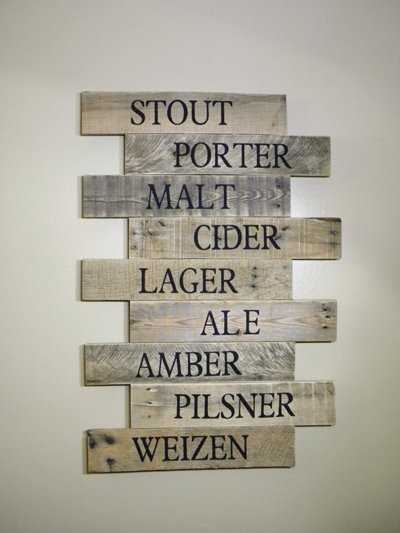 Main craft beer styles and related terms listed on reclaimed wood. Customizable. Take a look here. 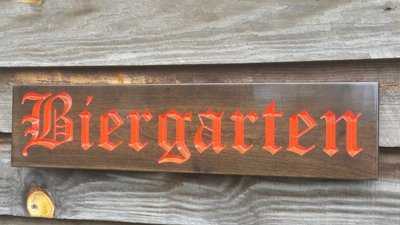 Biergarten sign in old fashioned Gothic inspired font type. Find it here. 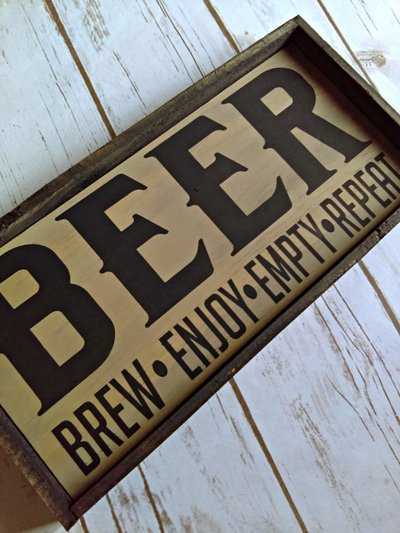 Brew, enjoy, empty, repeat – rustic sign for home brewery or man cave. Find it here. 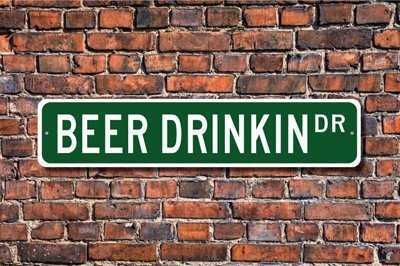 Made to order beer street sign. Customize one here. 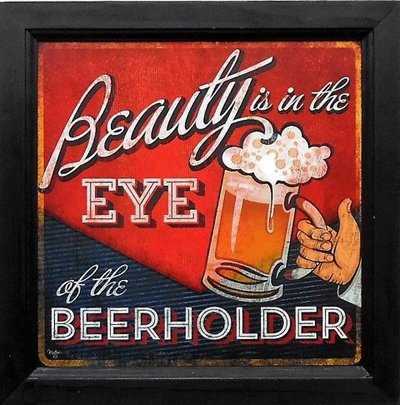 “Beauty is in the eyes of the beerholder” wooden sign with a vintage look. Find it here. 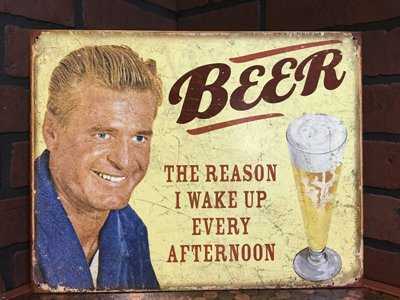 When beer is your reason to wake up… Find it here. This one has pre-drilled holes so mounting it easy. You can buy it here. As the old saying goes… Get it here. Perfect for a man cave or home brewery. Get it here. 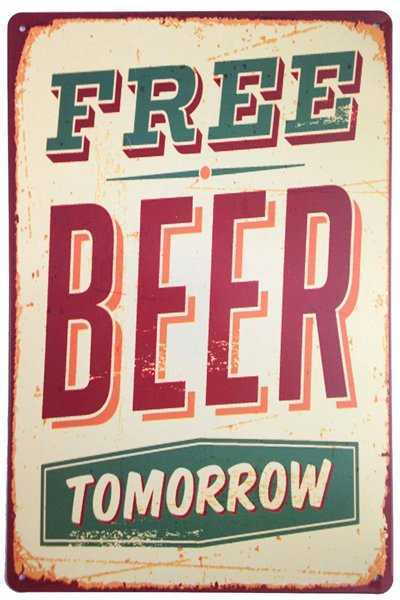 “Free Beer Tomorrow” vintage sign. Buy it here. An old truth. Get it here. 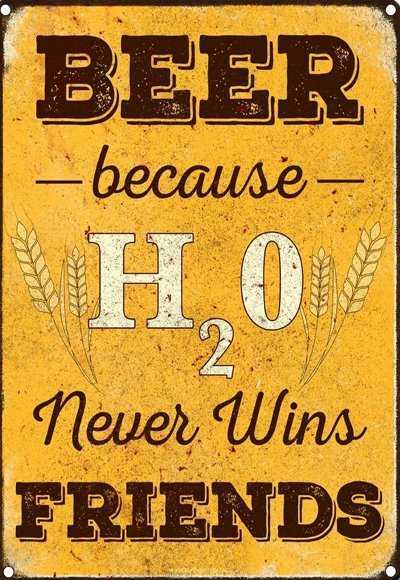 One more reason to drink more beer. Find it here. 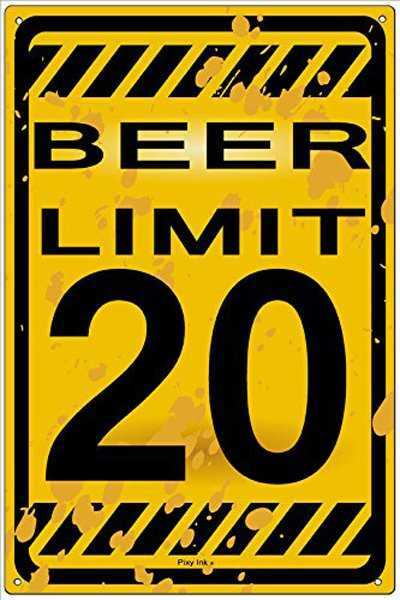 One’s beer limit depends of the style among other things…but on average.. Get it here. Definitely a ring of truth to this statement. Get it here. 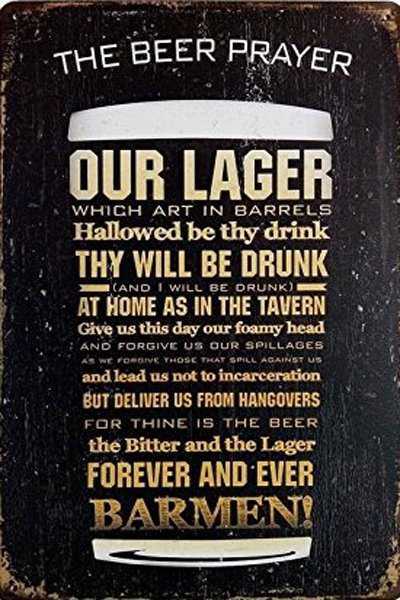 The Beer Prayer. Get it here. Are you really hungry? 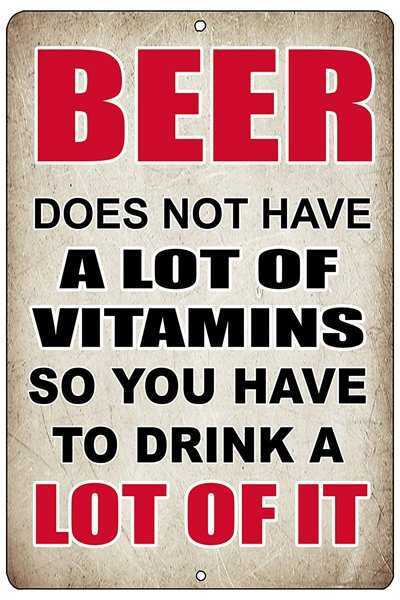 Then again – beer is food. Get it here. 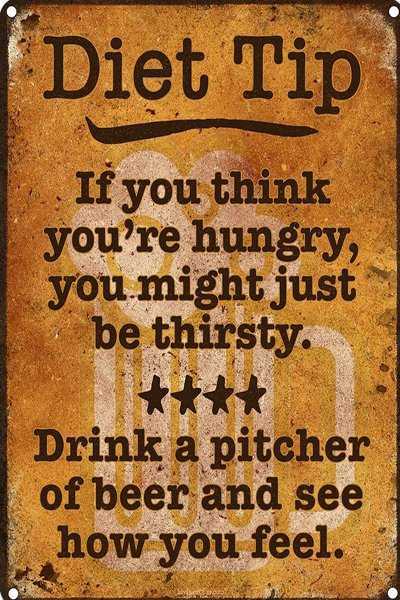 Steak temperature guidelines beer sign Get it here. 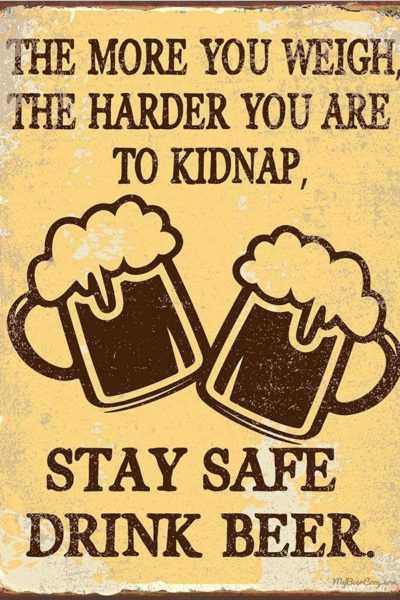 Generally true… Get it here. 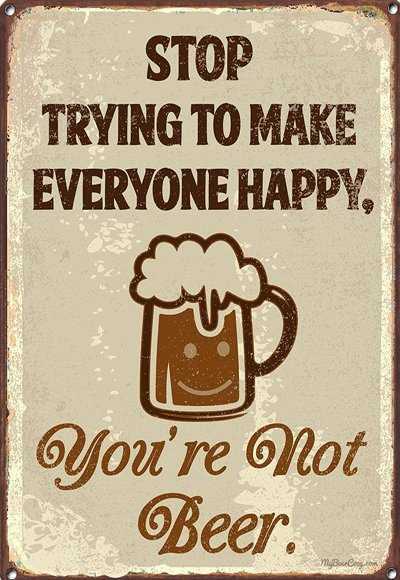 Just have a beer instead. Get it here. “Trust me you can dance. 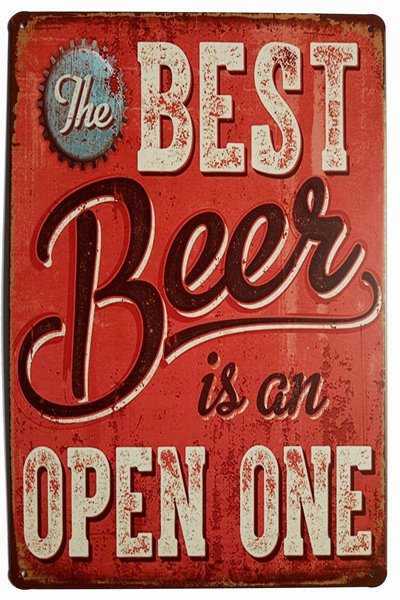 – Beer“. Find it here. 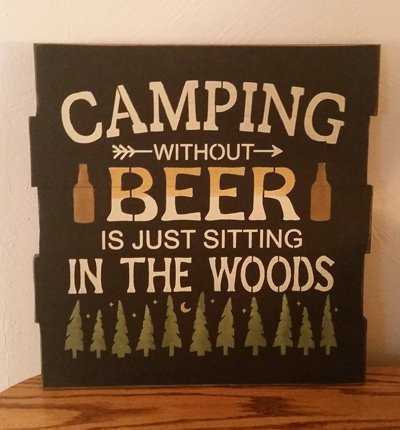 Camping without beer….. Find it here. 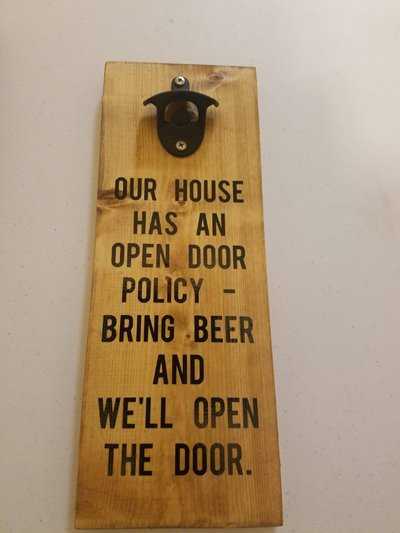 Open door policy beer sign. Find it here. 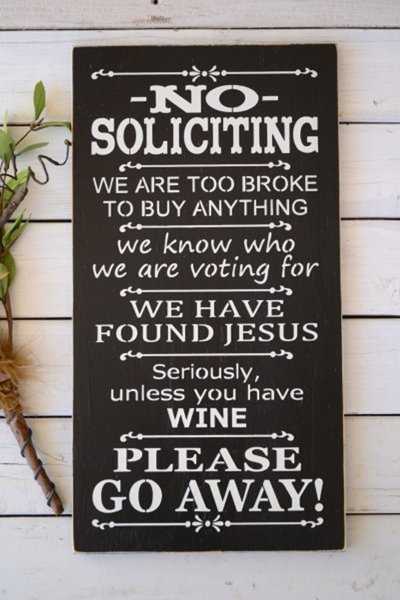 No soliciting sign. ‘Unless you are dropping off beer’… Yes, it is available saying ‘beer”. Order one here.